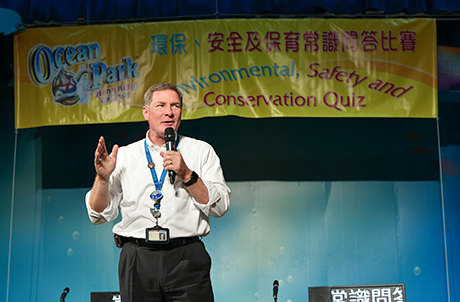 Promoting environmental protection, conservation, and cultivating occupational safety & health culture to our staff members is a key element of sustainability. 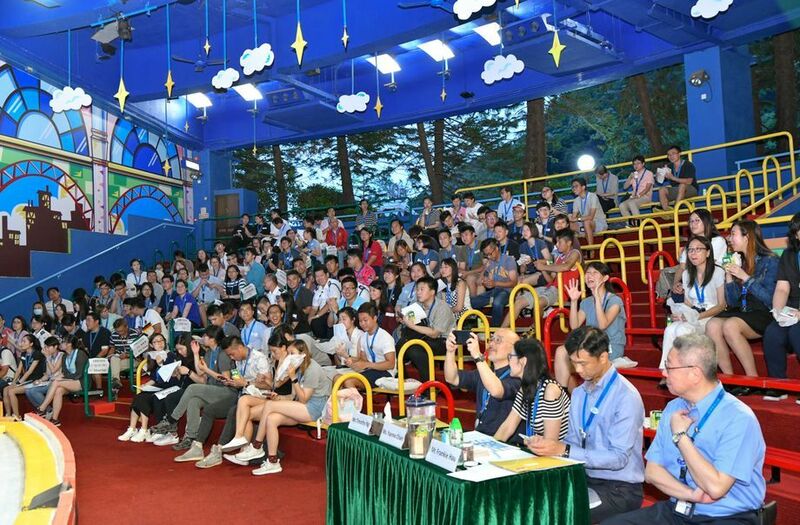 Through the quiz activity, we hope our colleagues can learn more in these aspects and apply the knowledge to their work and daily life. 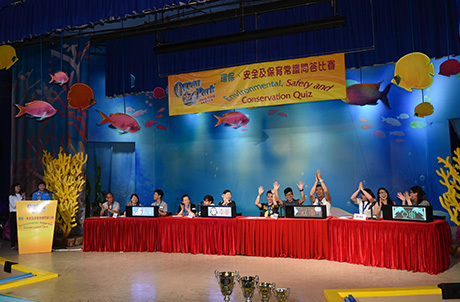 This year, the Quiz was successfully held on May 17. 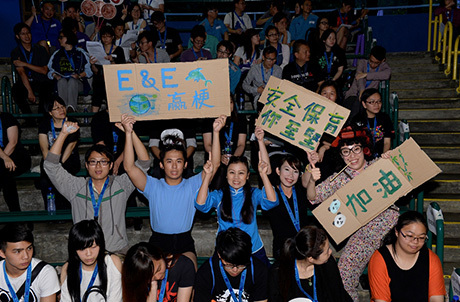 Our elite teams performed an exciting competition and led the supporters into a tense atmosphere. 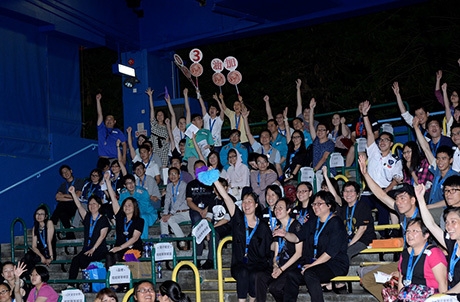 All the staff showed their passion and enjoyed the games. 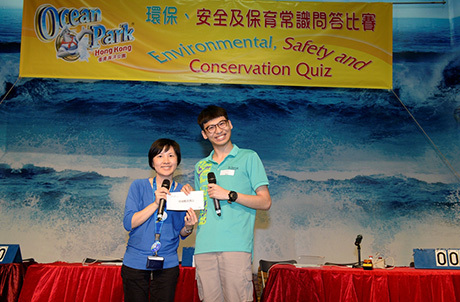 This is the 10th Environmental, Safety & Conservation Quiz. 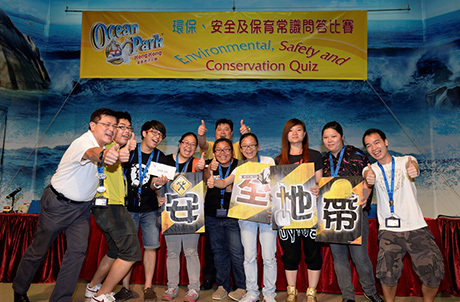 Over the years, the Quiz aims to promote environmental protection, conservation, and cultivate occupational safety & health culture to our staff members. 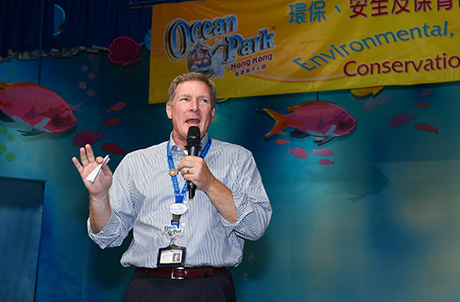 We are delighted to see there is appreciable progress in these three aspects among our Park's colleagues. 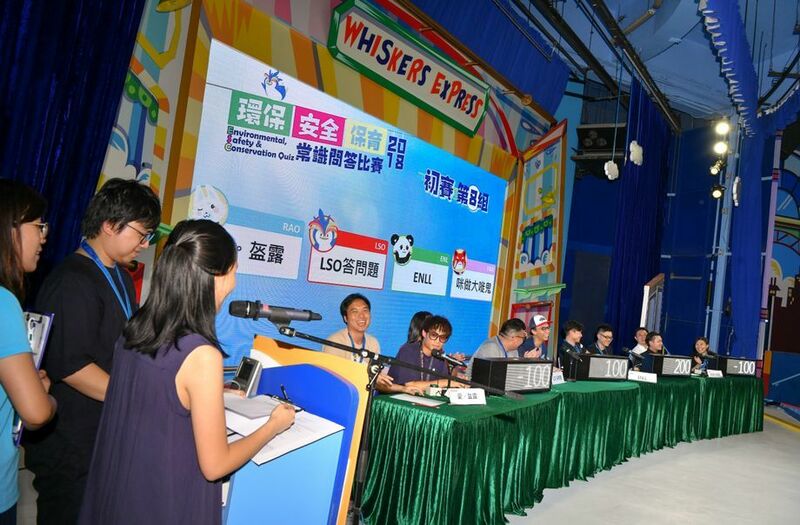 This year, the Quiz was successfully held on May 23, with 32 elite teams performed an exciting and entertaining game. 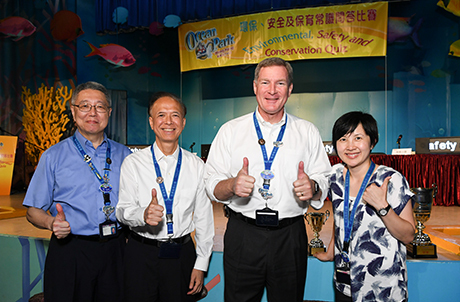 Hope our colleagues will keep it up to protect the earth, and purse a zero-injury goal! 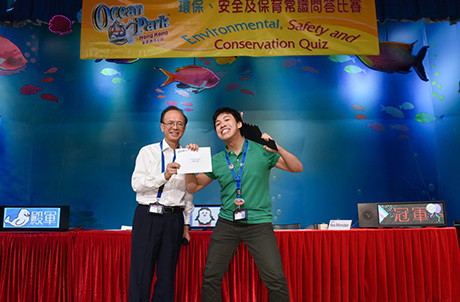 We set high priority to inculcate the culture of environmental protection, conservation and workplace health and safety to our staff members, and one of the highlighted promotional events was the Environmental, Safety and Conservation Quiz (the Quiz). 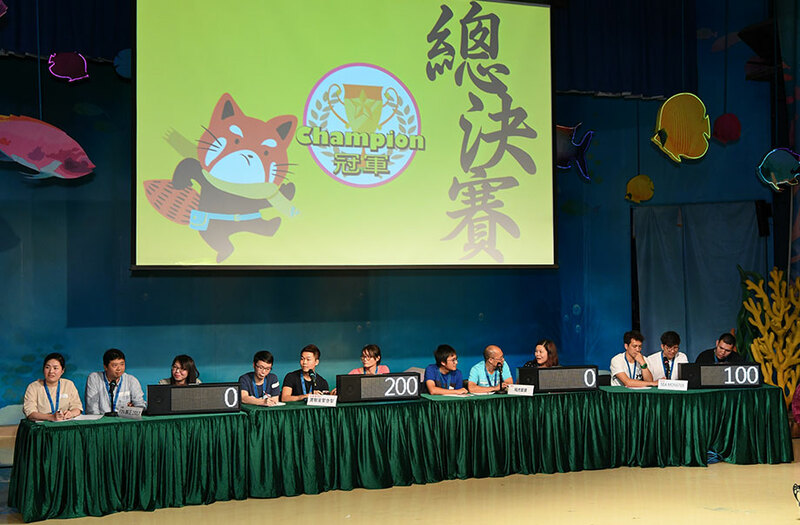 This year, the Quiz was successfully held on May 24, 2016, with 32 elite teams from different departments competing for the championship. 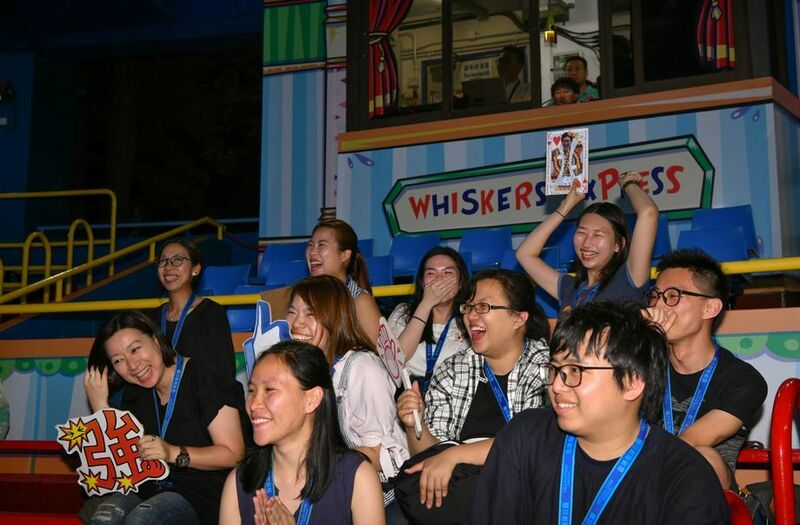 All participants were well prepared and competed vigorously throughout the event night. 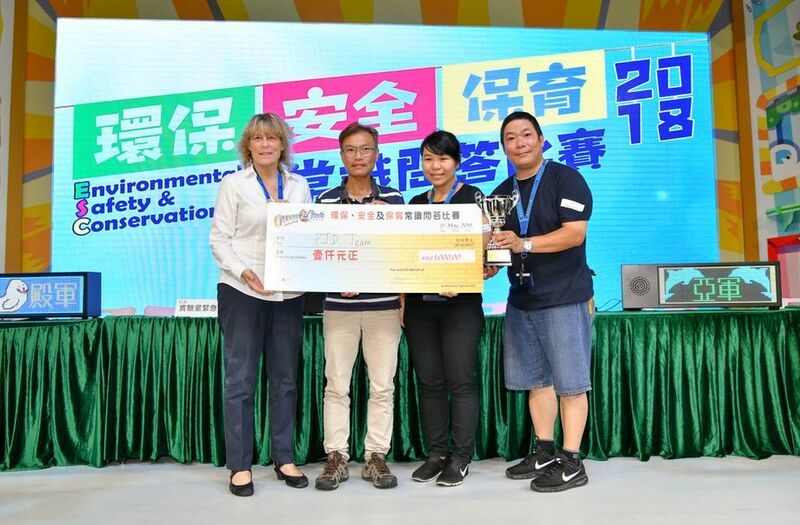 It is anticipated staff members could apply the environmental, conservation and safe practices in their daily life and at work, and gradually inculcate the culture in the Park. 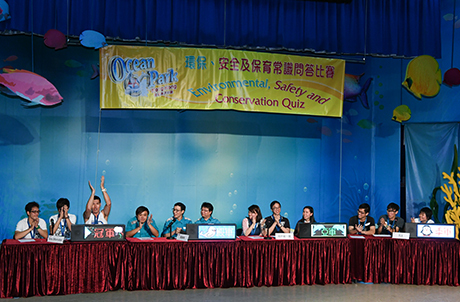 One of the biggest staff events, Environmental, Safety & Conservation Quiz, had been held on 14 May, 2015. 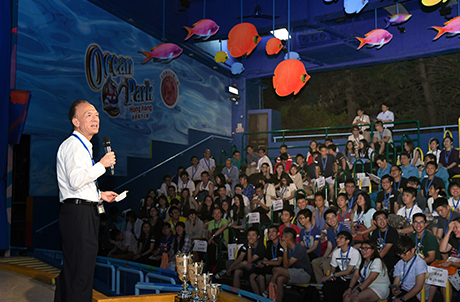 The 32 finalists, representing their respective departments, showed their enthusiasm and superb knowledge on environment, safety and conservation to compete for the champion. 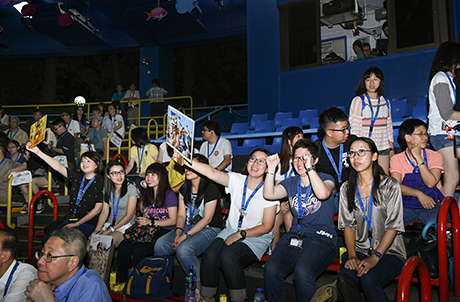 Besides, the “Cheering Team Competition” and prize-winning audience games were also the highlights to further brighten up the event. 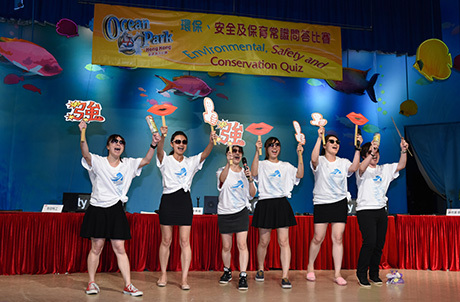 After this entertaining and exciting event night, we hope all staff can bring green and safety back to workplace and daily life, put environmental protection, safety and conservation in practice, and embrace a better life! 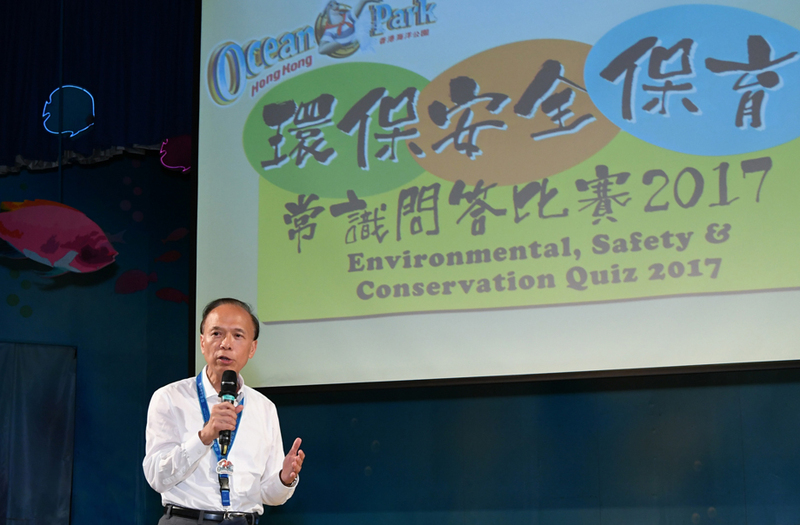 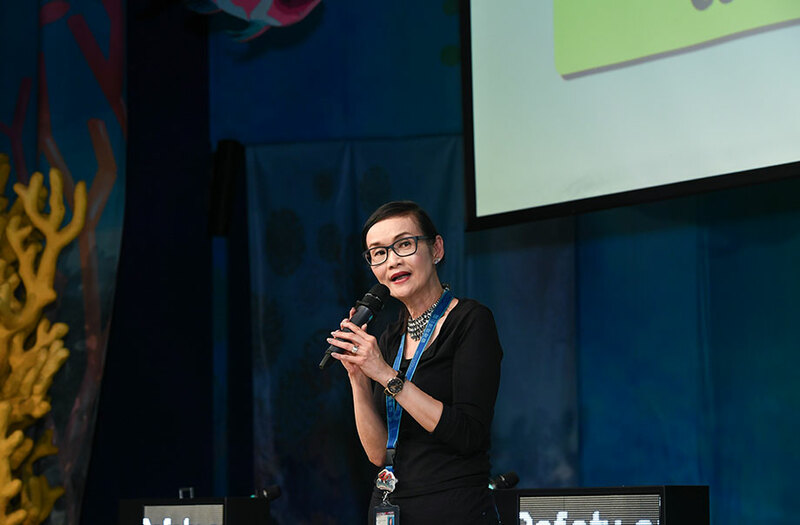 We continued to set high priority on enhancing the culture of environmental protection, health and safety, and conservation among our staff by holding annual “Environmental, Safety and Conservation Quiz”. 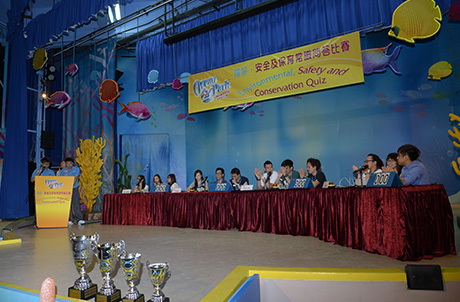 Our seventh quiz was successfully held in May 2014 and a total of 32 teams representing their respective Departments competed vigorously for Champion by showcasing their knowledge and passion on environment, safety and conservation. 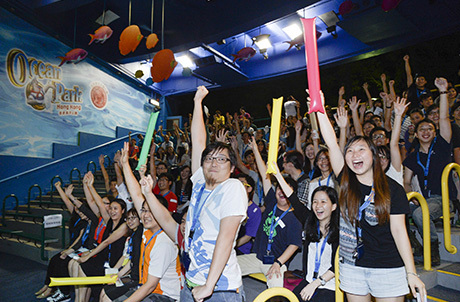 Through the competition, we anticipated staff can apply what they have learnt on their work and daily life. 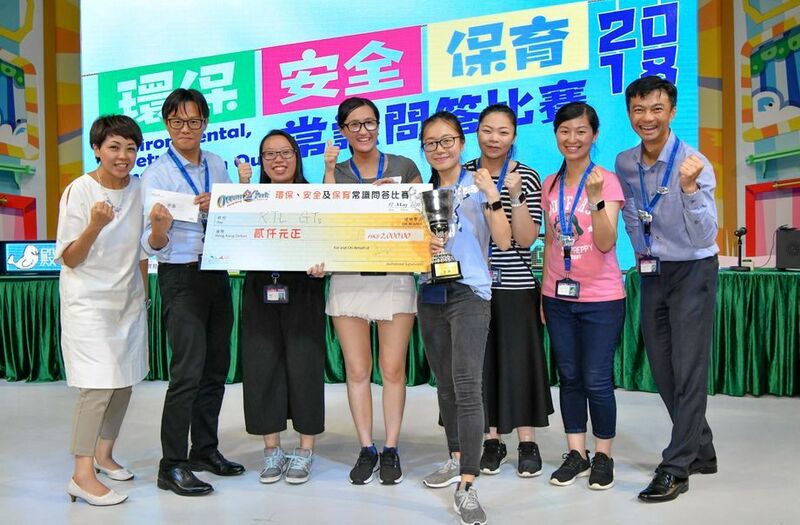 Besides, the audience’s prize-winning interactive game, and the entertaining “Cheering Team Competition” were also organized to further boost the competitive atmosphere at the event night! 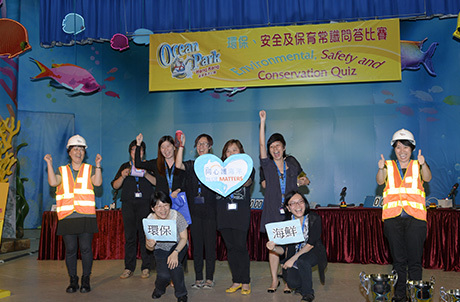 We continued to place a high priority on a culture of safety among our staff by holding annual "Environmental, Safety and Conservation Quiz". 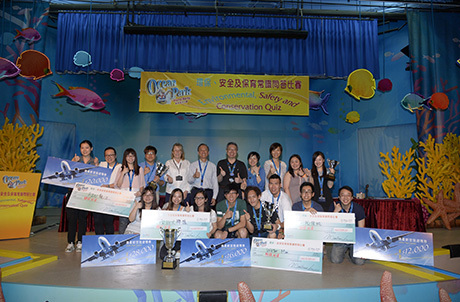 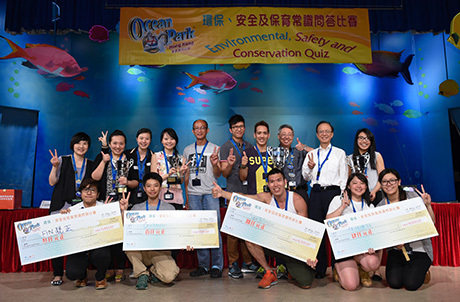 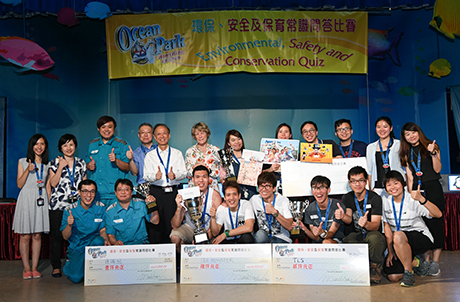 Our sixth quiz was held in May 2013 and a total of 31 teams representing various departments competed for prizes by showcasing their knowledge of and passion for safety,environment and conservation. 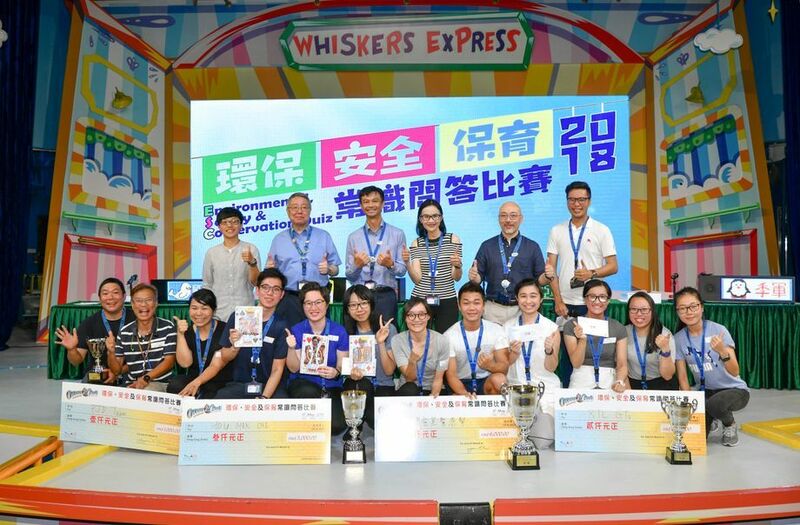 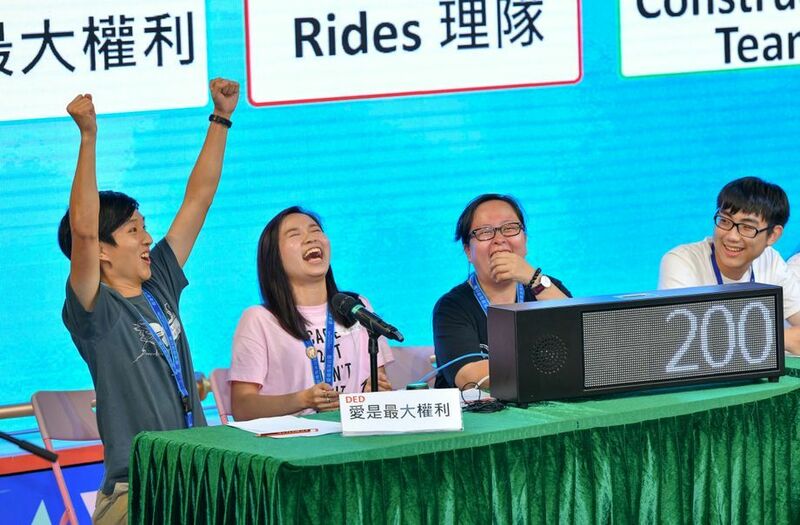 Besides, the audience's prize-winning interactive quiz, and the entertaining "Cheering Team Competition" were also organized to further boost the competitive atmosphere at the event night! 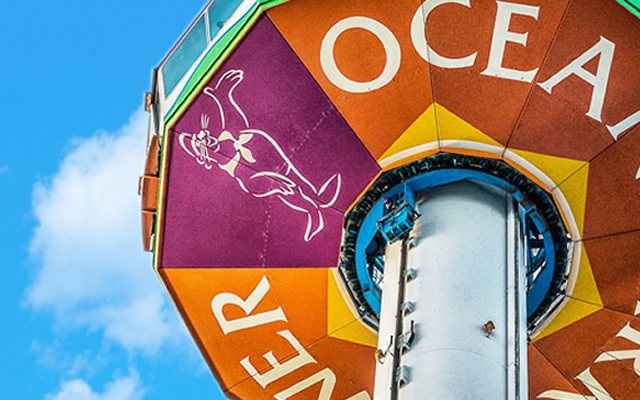 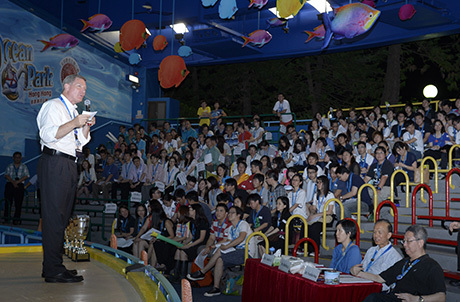 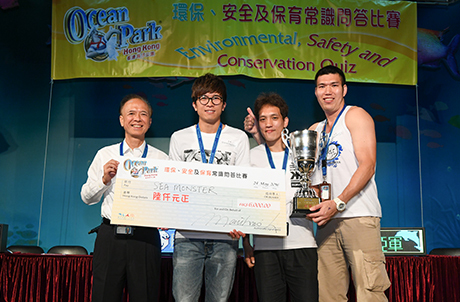 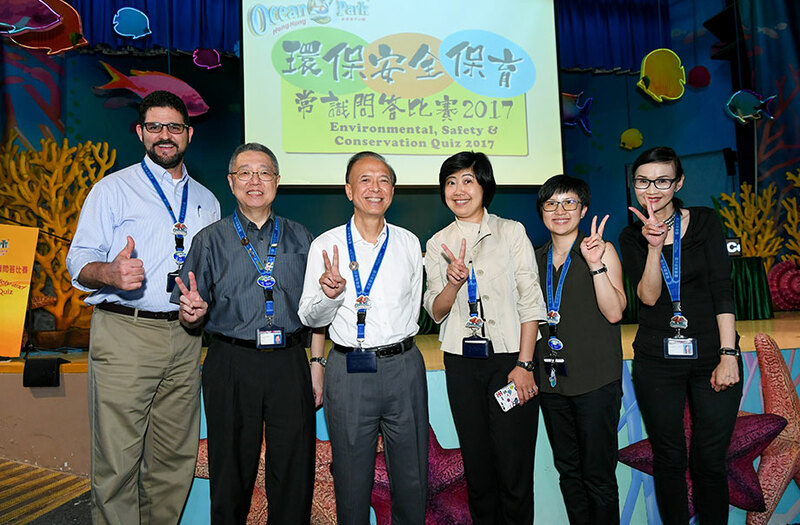 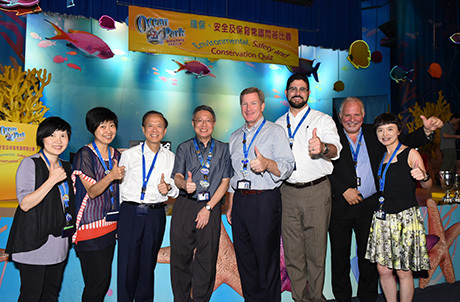 Through various internal staff interactive activities, Ocean Park targets to entice staff awareness on workplace safety and environmental protection. 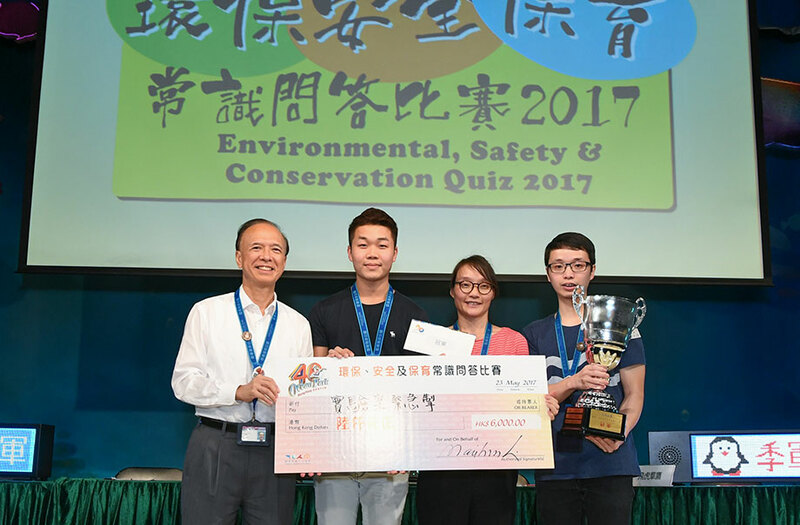 This year we held our 5th Safety & Environmental Quiz Event, it was overwhelmed by staff members and successfully completed on May 29th. 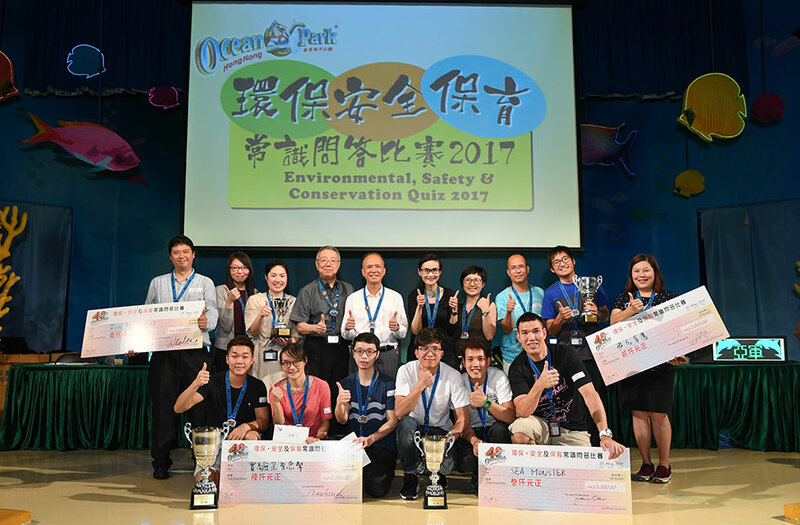 Through the competition, we anticipated staff members can learn safety and environmental knowledge, and apply on their work and daily life. 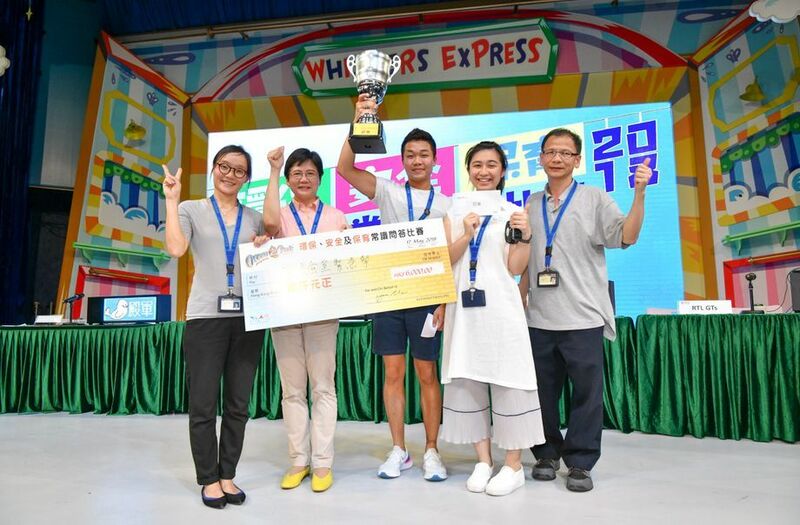 Besides, we also added Cheering Team Competition and prized audience quiz session during the event, all colleagues tried to do their best in order to win the prizes and spent an exciting evening. 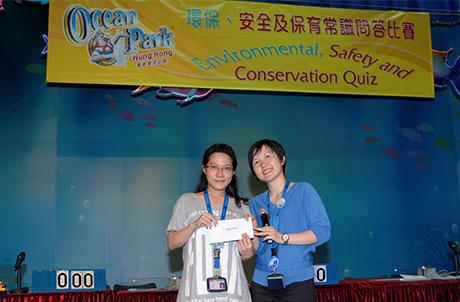 Riding on great responses from Safety & Environmental Quizzes in the past, this year we held our 4th event on June 14th. 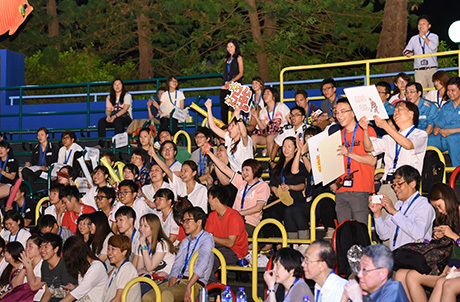 A World Cup theme was adopted for the night and a Cheering Competition was also added to draw more participation from the audience. 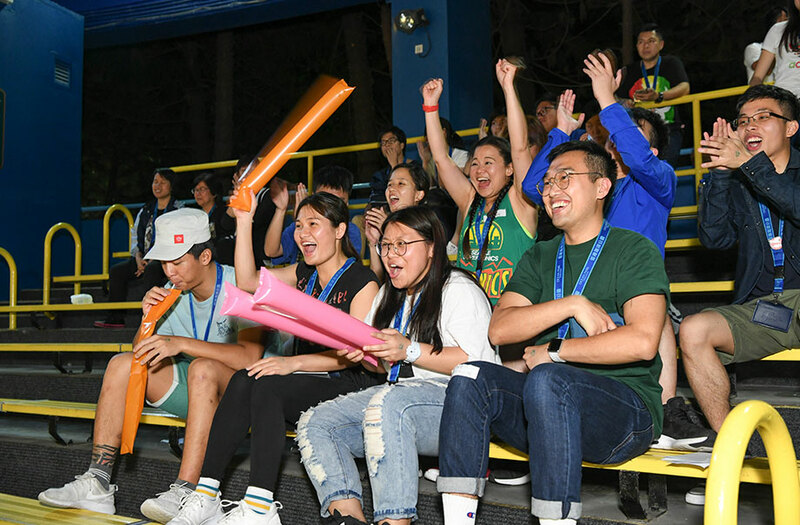 The Cheering teams presented safety and environmental protection messages through performances, boosting the energetic and entertaining atmosphere of the night. 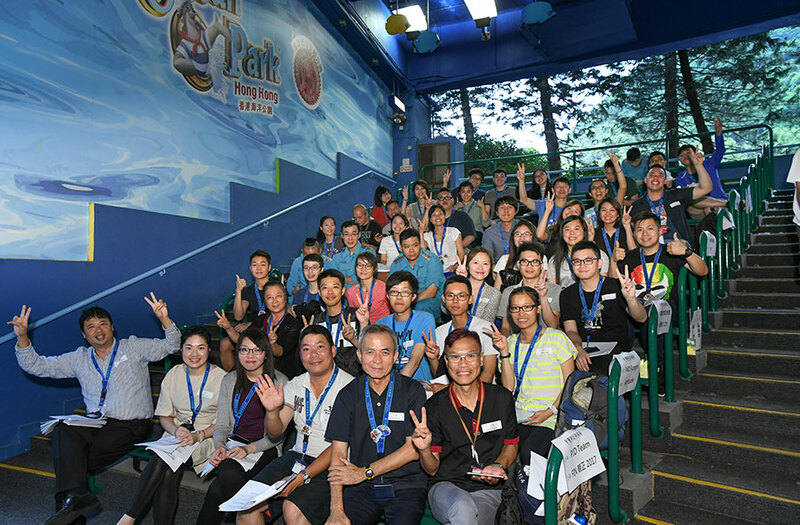 Last but not least, our audience staff members returned home with bountiful and applicable occupational safety, health, and environmental knowledge. 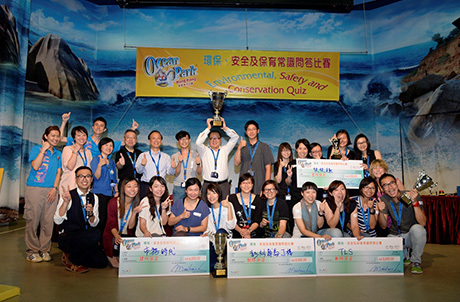 Through various internal staff interactive activities, Ocean Park targets to arouse the staff awareness on workplace safety and environmental protection. 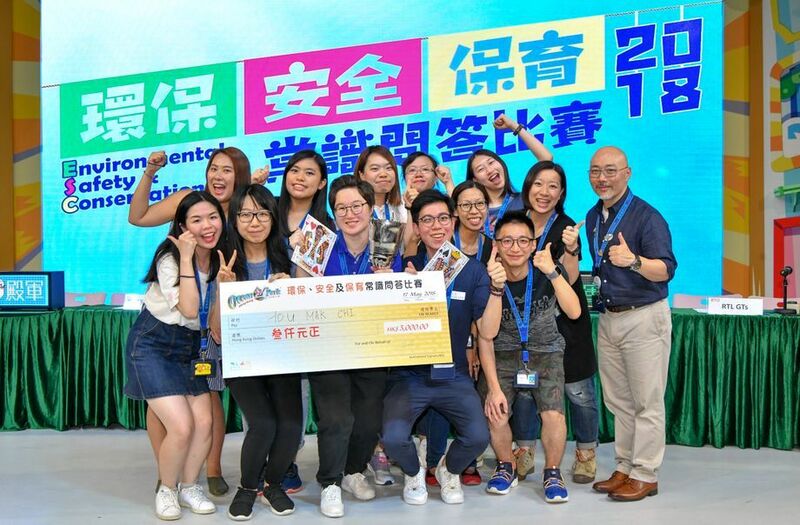 Riding on the good responses from previous Occupational Safety & Health Quiz Contests, this year, we expanded the scope of the contest from occupational safety & health to environmental protection and organized a "Safety & Environmental Quiz Contest" on June 15th & 17th. 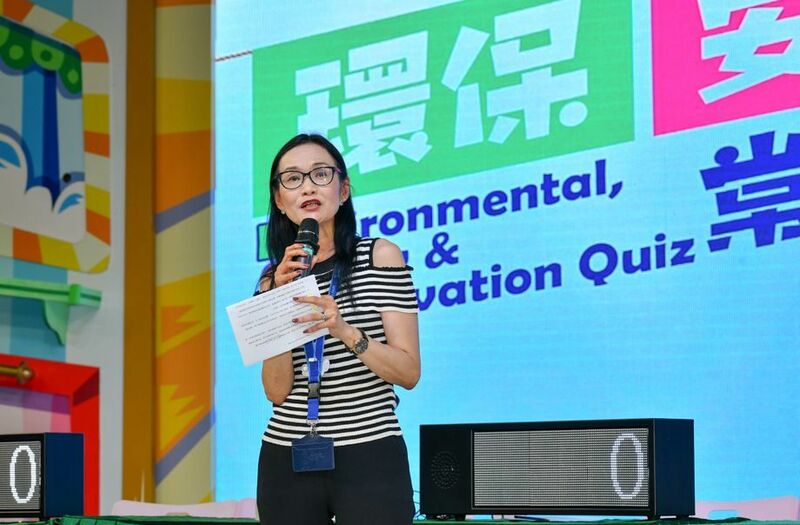 The purpose of the event was to provide all participants with a chance to learn about applicable occupational safety, health, and environmental protection. 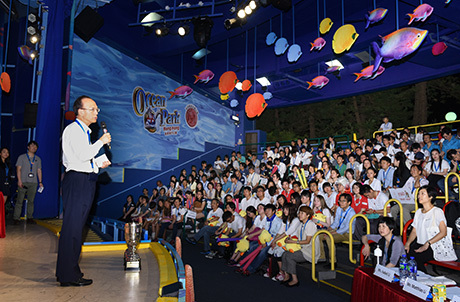 Through various activities, Ocean Park targeted to nurture the workplace safety culture among every staff members. 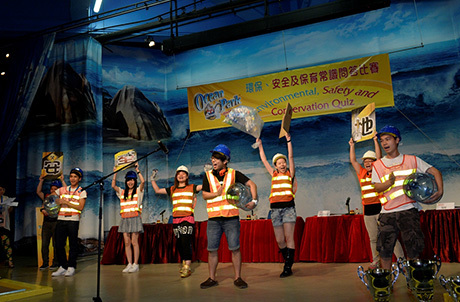 One of the biggest activities in promoting safety culture is the annual Occupational Safety and Health Quiz, anticipating the participants to learn different occupational safety and health knowledge from the interactive and interesting competition, and applying in their day-to-day operations.